The amazing advantage of playing bingo online is you don't have to get dressed and actually leave the house- you can sit in your pyjamas, drink a cup of tea and chill out in your own home but still reap all the benefits from playing bingo and winning money. Goldengamesbingo.com has everything you would expect from an online bingo site and much more. This is best place to pleay lots of bingo and win from their jackpots. As soon as you sign up you will receive £15 FREE that will be added to your account as soon as you have filled out your details. Then once you have spent that, and your winnings, make your first deposit and you will receive 200% and 250% on your second and 300% on your third deposit- making playing with Goldengames so much more worth it. And for every deposit after your first 3, depending on what you want to spend, you will receive a bonus- this is the site you don't want to stray too far from. 3. Make your first deposit and receive a 200% bonus. 4. Keep making deposits to receive your bonus and play lots of bingo. Goldengames offers you the best internet bingo games, massive cash prizes, bingo tournaments every day, and the friendliest chat rooms so even when you are playing in the comfort of your home you can still be interacting with the world and also making lots of new friends who share your bingo love and passion. There are always games going on so even if you are working hard you will always know that you can come home at whatever time and always find a bingo game starting in the next few moments for you to relax and hopefully win lots of money. 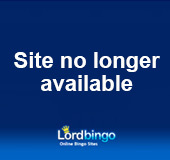 And if you fancy a little break from bingo this does not mean you have to leave the site as they also have casino games, slots and video poker for you to try your hand at. If you are looking for a fabulous community, fab games, great promotions free bingo rooms, happy hours some good chat then don't look any further than goldengamebingo.com.